If you want to boost sales at your business this holiday season, don’t wait until the last minute to create a marketing strategy. Plan your seasonal events and promotions early to ensure that your business will have a leg up on competitors. If you’re not sure where to start, use these tricks to get your marketing plan underway. When planning holiday party or event, the U.S. Small Business Administration recommended focusing on the kids in your community. You can easily capture the attention of potential customers by catering to their children. You can hold small, inexpensive competitions like ornament decorating or a holiday coloring contest. This will bring new traffic into your business. For a shopping event, provide toys or books to occupy kids while their parents browse. Consider handing out goodies like Gummy Bear Pillow Bags to the children and be sure to have a great prize for contest winners. Another way to reach new customers and build brand awareness is by partnering with local bloggers. 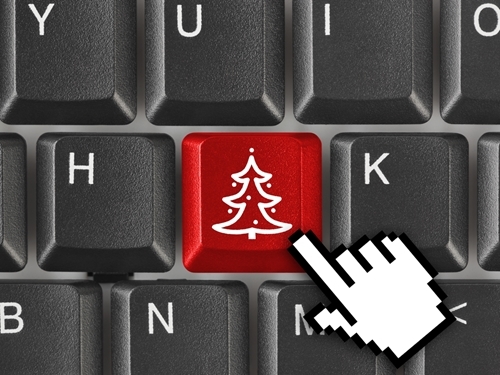 Many blogs will have a holiday post on places to shop or great gifts. If you connect with these individuals, you might be able to score a spot on their list. You can offer to promote their blog in return or host a giveaway via their site. These tactics will help get your business in front of new potential customers and boost holiday sales. However, reach out to blogs early so there’s plenty of time to make arrangements. Santa is always a big draw in communities with lots of families, but you’ll need to make arrangements as soon as possible. Book your Santa well in advance to ensure you’re able to reserve a good time slot and price. With that out of the way, you’ll be able to craft advertisements and fliers to publicize the event. Use social media and local papers to advertise, but get creative to reach a large number of families. Consider posting fliers at local community centers and schools. Getting these tasks completed early will also give you plenty of time to order the contents for Santa’s goodie bags, like Butter Toffee Snowflakes Holiday Tins customized with your logo. If you want to host giveaways for your customers on Black Friday, Hanukkah or Christmas, get all the details squared away a few weeks in advance. Whether you’re giving away gift baskets or promotional items, preparation and thorough marketing are key to seeing return on investment. Some good products to consider might be Getaway Custom Travel Bags or Christmas Wine Charms. Whatever items you choose, be sure they reflect the message and ethics of your company. Quality gifts show customers that you value their loyalty and pride yourself on delivering the best products or services. Once the holidays roll around, you and your staff will be busy with sales and customer service, leaving little time to update social media. Take advantage of free scheduling programs like HootSuite, which allow you to write and schedule social media posts in advance. Having content post on a set schedule will take a lot of responsibility off your plate and ensure that all your events, contests and giveaways are getting adequate publicity on your social sites. Thrive Hive also recommended promoting your company’s products and services regularly during the holiday season. You can feature one popular holiday item each week as a gift idea or engage consumers by asking what product they’d like to receive for the holidays.